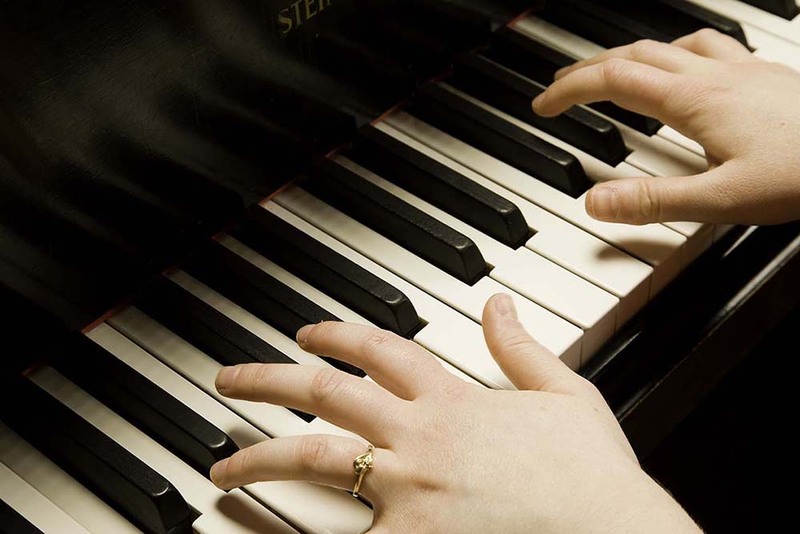 This Certificate in Piano Teaching will provide you with the necessary skills to teach piano at any level. The Piano Teaching Certificate program is also open to students not pursuing the bachelor’s degree. In 2013, Hollins became one of just a few “All-Steinway Schools” in Virginia. Becoming an All-Steinway School was a 10-year journey, which culminated with the arrival of seven additional instruments in 2013. To receive the designation, 90% of an institution’s pianos must be Steinway or Boston instruments (Boston is a Steinway brand that responds well to the rigors of the institutional setting). The Sallie Gray Shepherd Fund brings a variety of nationally and internationally known performers and ensembles to campus each semester, and the Galbraith Fund supports an annual master class and workshop at Hollins by leaders in the field of piano teaching. Hollins’ concert series are free and open to the public. Professor Judith Cline is happy to answer your questions.